› How Does Mashooq Oil Help With Hair Damage? How does Mashooq hair oil protect from hair damage? 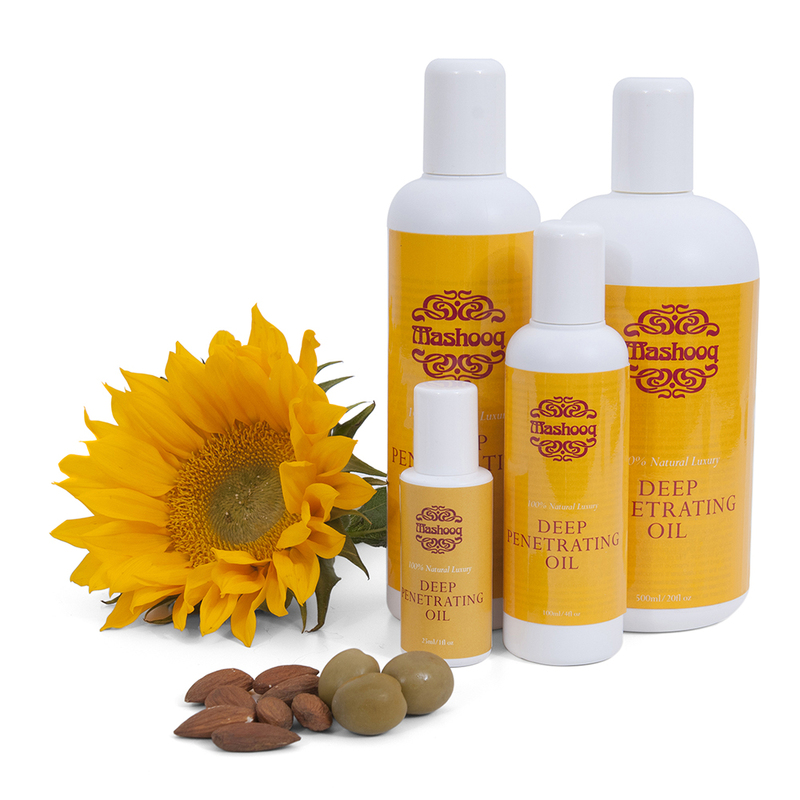 Mashooq Deep Penetrating oil is a unique blend of 100% natural ingredients. It keeps the hair protected, soft and supple as the ingredients are rich in vitamins and minerals. The hair shaft grows from the hair follicle or hair root below the surface of the skin. Within the base of the hair follicle is an oil gland, which lubricates and keeps the hair looking healthy and shiny. Every time chemicals, such as relaxers, perms and hair bleaches and colours, are used on any type of hair they open the hair shaft in order to enable chemicals to do their job. This process of opening the hair shaft and adding chemicals, strips out the natural oils from the hair. Mashooq’s Deep Penetrating Oil is packed with minerals, vitamins (Vitamins A, B, D, E and K) and amino acids that feed the hair at the same time as the chemical processes are stripping out the natural oils. We recommend applying the oil 10-20 minutes before the chemical process and leaving it on the hair while applying the chemicals.